Cooking 101: Coconut Whipped Cream. 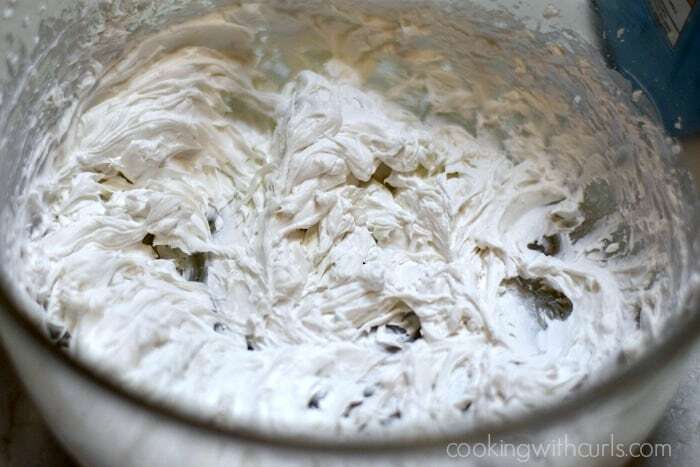 I’m sure you have probably seen Coconut Whipped Cream before on pinterest, or other blogs. 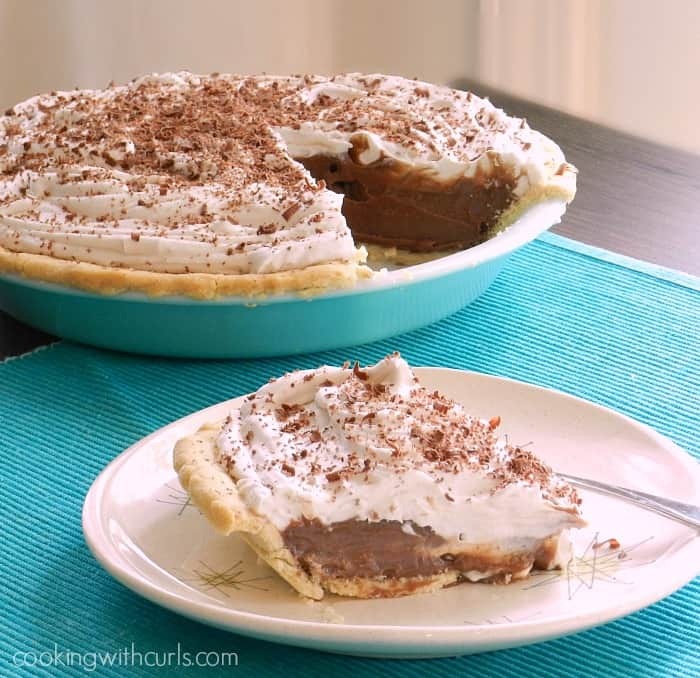 In fact I have used it in the past on my Dairy-free Chocolate Cream Pie, but I still felt that it needed it’s own post. 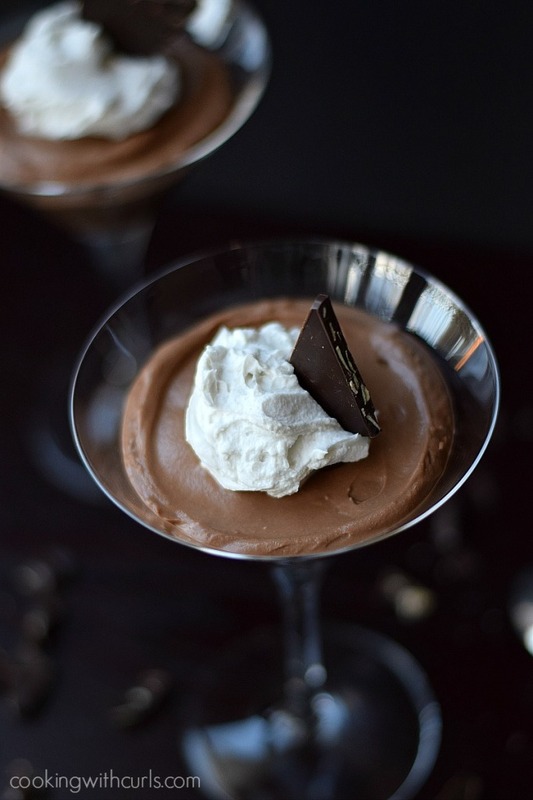 Being lactose intolerant causes you to miss out on all kinds of fun desserts. 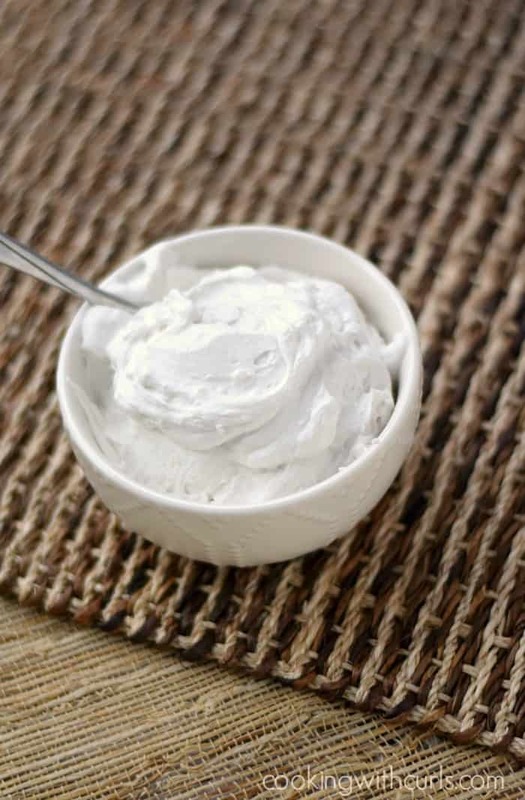 This whipped cream has been a lifesaver for me….. I always have a can or two of coconut milk chilling in my refrigerator…just in case. You never know when a craving is going to hit. 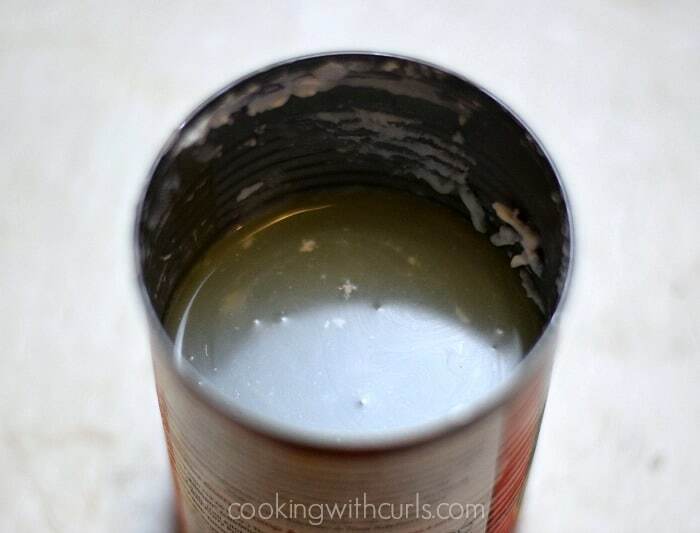 Just grab the can out of the refrigerator….without shaking it… and open the top…..
All of the coconut cream is now solid and floating on top. Yes, the red can of THAI Kitchen is my favorite. 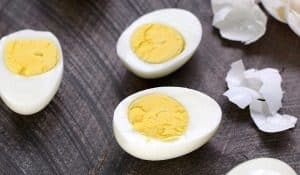 😉 Now scoop out the solid portion…..
and place it in a large bowl. You will be left with the liquid…..
that you can throw away or use in a smoothie. 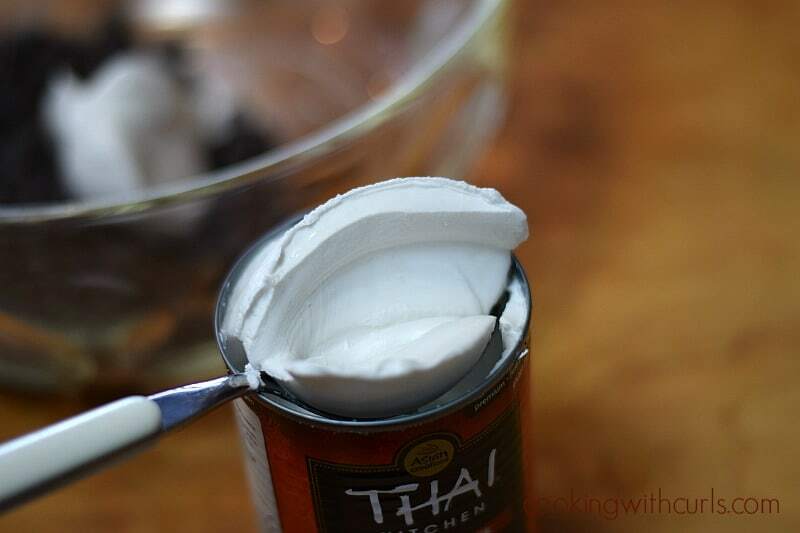 Beat the coconut cream until smooth. 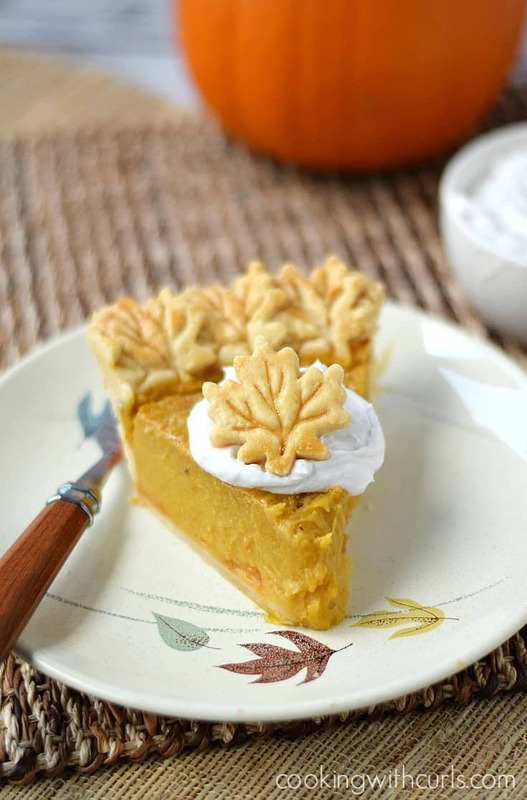 Add the powdered sugar and vanilla, and continue beating until creamy…..
and voilà , you have dairy-free coconut whipped cream…..
That you can use to top your Thanksgiving Pumpkin Pie…..
Or garnish Chocolate Martini Mouse…..
Or make a double batch, and cover an entire Chocolate Cream Pie…..
Why do I use powdered sugar and not granulated sugar? I have always used powdered sugar in my whipped cream. 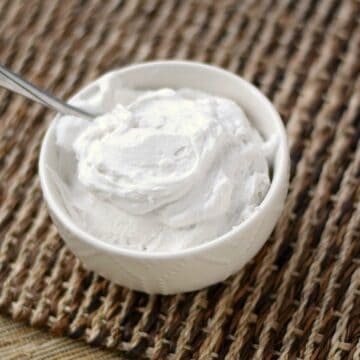 It dissolves faster, and also contains cornstarch which helps to stabilize the whipped cream and keep it from weeping. 🙂 You can use granulated if you choose, just make sure that you beat it long enough to dissolve the sugar… or your whipped cream will be grainy. 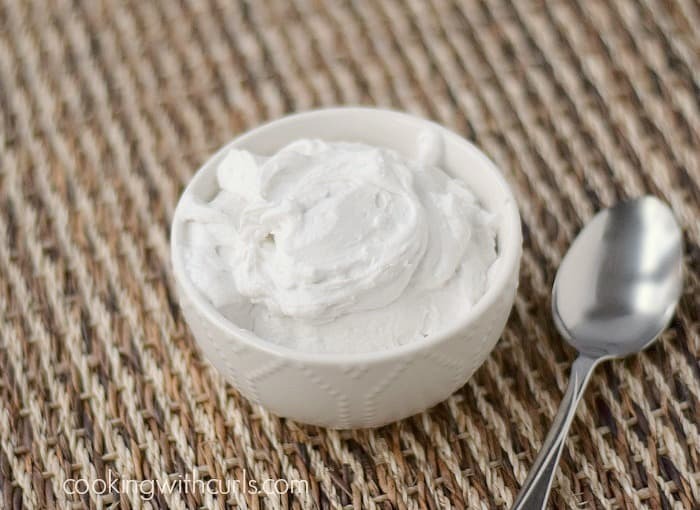 Dairy-free and vegan Coconut Whipped Cream : Cooking 101 including step-by-step images to show you exactly how to make your own! 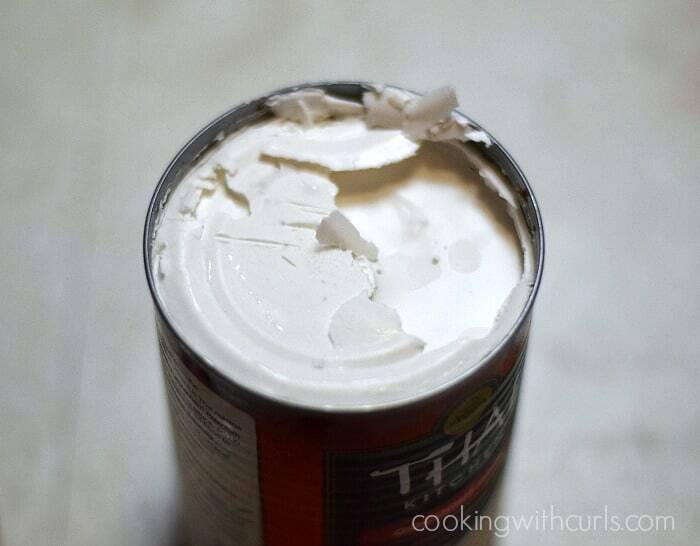 Without shaking the can of chilled coconut milk, open the can and scoop out the solid portion of coconut milk. 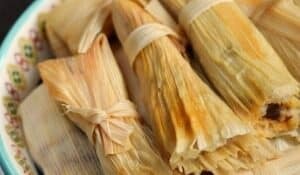 Place in a large bowl and beat until smooth. Add the powdered sugar and vanilla, and beat until smooth and creamy. 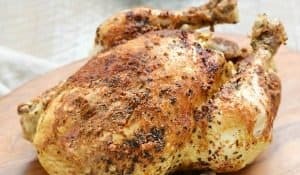 Serve immediately and store in the refrigerator until ready to use. Have I mentioned how much I LOVE your creations and step by step instructions?! You have truly inspired me to try this. I obviously can’t have the real cream stuff. And, I love coconut… this is like a dream come true!